Name Index Mary Catherine BOUTILIER was born on 20 November 1797. She died on 29 April 1847 at the age of 49. Parents: Joseph BOUTILIER and Anna Maria SCHLAGENTWEIT. Spouse: Christian HIRTLE. Mary Catherine BOUTILIER and Christian HIRTLE were married on 23 December 1819. Children were: John Jacob HIRTLE, Louisa HIRTLE. Mary Elizabeth BOUTILIER was born on 28 March 1783. She died on 23 December 1847 at the age of 64 in St. Margarets Bay, Halifax County, Nova Scotia. Parents: John Frederick BOUTILIER and Anna Elizabeth KNICKLE. Spouse: Johannes HUBLEY. Mary Elizabeth BOUTILIER and Johannes HUBLEY were married in 1810. Children were: Alexander HUBLEY, William Henry HUBLEY, Peter HUBLEY. Mary Elizabeth BOUTILIER was born on 25 September 1796. She died on 16 May 1886 at the age of 89. Parents: George Frederick BOUTILIER and Maria Catherine KNICKLE. Spouse: John Peter George BOUTILIER. Mary Elizabeth BOUTILIER and John Peter George BOUTILIER were married on 17 December 1813. Children were: William BOUTILIER, Peter George BOUTILIER. Mary Elizabeth BOUTILIER was born in 1807 in St. Margarets Bay, Halifax County, Nova Scotia. She died on 10 December 1867 at the age of 60 in Mill Cove, Lunenburg County, Nova Scotia. Parents: James David BOUTILIER and Maria Catherine BOUTILIER. Spouse: John Valentine JOLLIMORE. Mary Elizabeth BOUTILIER and John Valentine JOLLIMORE were married on 24 December 1828 in Hubbards Cove, Halifax County, Nova Scotia. Children were: Mary Anne Elizabeth JOLLIMORE. Mary Elizabeth BOUTILIER was born on 29 April 1815 in French Village, Halifax County, Nova Scotia. She died on 21 March 1891 at the age of 75 in French Village, Halifax County, Nova Scotia. Spouse: William Henry HUBLEY. Mary Elizabeth BOUTILIER and William Henry HUBLEY were married on 26 March 1837 in Halifax, Halifax County, Nova Scotia. Children were: Francis William HUBLEY. Mary Elizabeth BOUTILIER was born on 25 November 1835. Parents: Jacob BOUTILIER and Anna Helena Elizabeth WENTZELL. Spouse: Daniel DEMONE. Mary Elizabeth BOUTILIER and Daniel DEMONE were married on 6 January 1857. Children were: Rosie DEMONE, William Henry DEMONT. Nicholas BOUTILIER was born in 1727. He died on 10 March 1728 at the age of 1. Parents: Jean George BOUTILIER and Sarah GRANGE. Peter George BOUTILIER was born on 2 July 1832. He died on 16 April 1916 at the age of 83. He was buried in the Pioneer Cemetery in French Village. Parents: John Peter George BOUTILIER and Mary Elizabeth BOUTILIER. Spouse: Rebecca Agnes DAUPHINEE. Rebecca Agnes DAUPHINEE and Peter George BOUTILIER were married on 14 May 1879. Children were: Laura Ann BOUTILIER, Rosa Matilda BOUTILIER. Pierre BOUTILIER was born in September 1673. He died young. Parents: Guillame BOUTILIER and Jeanne MIGNERAY. Pierre BOUTILIER was born in 1680. Parents: Guillame BOUTILIER and Jeanne MIGNERAY. Pierre BOUTILIER died on 24 June 1734 at the age of 0. He was born in 1734. Parents: Jean George BOUTILIER and Sarah GRANGE. Ralph Burns BOUTILIER was born on 10 March 1906 in Boutiliers Point, Halifax County, Nova Scotia. He died on 31 March 1989 at the age of 83 in Liverpool, Queens County, Nova Scotia. He was buried in South Brookfield, Queens County, Nova Scotia. Parents: Stannage M BOUTILIER and Elsie M "Esther" SCHNARE. Spouse: Kathleen Maude WHYNOT. Kathleen Maude WHYNOT and Ralph Burns BOUTILIER were married on 24 December 1934 in Liverpool, Queens County, Nova Scotia. Children were: Living. Richard BOUTILIER was born in 1834 in St. Margarets Bay, Halifax County, Nova Scotia. He was buried in the Fairview Lawn Cemetery in Halifax. Parents: John James BOUTILIER and Bridget FLEET. Spouse: Eleanor Elizabeth FRALICK. Eleanor Elizabeth FRALICK and Richard BOUTILIER were married on 15 June 1856 in Hacketts Cove, Halifax County, Nova Scotia. Children were: James Lemeuel BOUTILIER, Robert Abner BOUTILIER. Robert Abner BOUTILIER was born on 17 February 1864 in Hacketts Cove, Halifax County, Nova Scotia. He died in 1960 at the age of 96 in Hacketts Cove, Halifax County, Nova Scotia. He was buried in the St. Peters Anglican Cemetery in Hackett's Cove. Parents: Richard BOUTILIER and Eleanor Elizabeth FRALICK. Spouse: Annie Susan VAUGHAN. Annie Susan VAUGHAN and Robert Abner BOUTILIER were married on 24 November 1891 in St. Margarets Bay, Halifax County, Nova Scotia. Children were: Roland A. BOUTILIER. Roland A. BOUTILIER was born on 11 July 1895 in Hacketts Cove, Halifax County, Nova Scotia. He died on 7 March 1980 at the age of 84 in Port Bickerton, Guysborough County, Nova Scotia. He was buried in the Hillside Cemetery in Port Bickerton, Nova Scotia. Parents: Robert Abner BOUTILIER and Annie Susan VAUGHAN. Spouse: Jennie M. CORKUM. Jennie M. CORKUM and Roland A. BOUTILIER were married on 14 September 1921. Children were: Living. Rosa Matilda BOUTILIER was born on 18 August 1884 in French Village, Halifax County, Nova Scotia. She died on 13 May 1919 at the age of 34 in West Dover, Halifax County, Nova Scotia. Parents: Peter George BOUTILIER and Rebecca Agnes DAUPHINEE. Spouse: John Silas LANTZ. Rosa Matilda BOUTILIER and John Silas LANTZ were married on 24 December 1910 in West Dover, Halifax County, Nova Scotia. Sarah Ann BOUTILIER was born on 14 August 1828. Parents: John James BOUTILIER and Bridget FLEET. Spouse: Ephraim RAFUSE. Sarah Ann BOUTILIER and Ephraim RAFUSE were married on 30 November 1849 in St. Margarets Bay, Halifax County, Nova Scotia. Children were: Joanna RAFUSE. Sarah Elizabeth BOUTILIER was born on 23 January 1835 in St. Margarets Bay, Halifax County, Nova Scotia. She died on 5 May 1923 at the age of 88 in Fox Point, Lunenburg County, Nova Scotia. Parents: John George BOUTILIER and Margaretta "Peggy" VEINOT. Spouse: John Henry BOUTILIER. Sarah Elizabeth BOUTILIER and John Henry BOUTILIER were married on 15 February 1853 in Boutiliers Point, Halifax County, Nova Scotia. Children were: Carrie Cassandra BOUTILIER. Sarah Olive BOUTILIER was born on 20 April 1822 in North West Cove, Lunenburg County, Nova Scotia. She died on 19 March 1907 at the age of 84 in North West Cove, Lunenburg County, Nova Scotia. She was buried in the All Saints Anglican Church Cemetery in Bayswater. Parents: Joseph BOUTILIER and Catherine Elizabeth DAUPHINEE. Spouse: John Joseph CLEVELAND. Sarah Olive BOUTILIER and John Joseph CLEVELAND were married on 29 April 1845 in St. Margarets Bay, Halifax County, Nova Scotia. Children were: Isabella C CLEVELAND. Sophia Catherine BOUTILIER was born on 18 June 1799 in Lunenburg County, Nova Scotia. She died in 1863 at the age of 64. Parents: Jean George BOUTILIER and Catherine Elizabeth LOWE. Spouse: James Frederick LOWE. Sophia Catherine BOUTILIER and James Frederick LOWE were married. Children were: Nathaniel LOWE. Stannage M BOUTILIER was born on 5 December 1875 in Boutiliers Point, Halifax County, Nova Scotia. He died on 15 December 1956 at the age of 81 in Halifax, Halifax County, Nova Scotia. He was buried in Boutiliers Point, Halifax County, Nova Scotia. Parents: Benjamin "Benny Jack" BOUTILIER and Cordelia Jane DAUPHINEE. Spouse: Elsie M "Esther" SCHNARE. Elsie M "Esther" SCHNARE and Stannage M BOUTILIER were married on 11 November 1902 in Boutiliers Point, Halifax County, Nova Scotia. Children were: Ralph Burns BOUTILIER. Susanna BOUTILIER was born in 1766. She was baptized on 20 July 1766. Parents: Jean George BOUTILIER and Anna Catherie Barbara MAILLARD. Spouse: Henry SCHUPLY. Susanna BOUTILIER and Henry SCHUPLY were married in 1782. Spouse: William CHENEY. Susanna BOUTILIER and William CHENEY were married. Spouse: Jacques Frederick JOUDREY. Susanna BOUTILIER and Jacques Frederick JOUDREY were married on 17 December 1805 in Northwest, Lunenburg County, Nova Scotia. Children were: Benjamin JOUDREY, Isaac JOUDREY. Susannah Elizabeth BOUTILIER was born on 1 January 1806 in St. Margarets Bay, Halifax County, Nova Scotia. She died on 5 November 1894 at the age of 88 in St. Margarets Bay, Halifax County, Nova Scotia. Parents: James Frederick BOUTILIER and Susannah Elizabeth SCHLAGENTWEIT. Spouse: John James JOLLIMORE. Susannah Elizabeth BOUTILIER and John James JOLLIMORE were married on 22 December 1825 in St. Margarets Bay, Halifax County, Nova Scotia. Children were: John Phillip JOLLIMORE, William Elias JOLLIMORE, William JOLLIMORE. Susanne C. BOUTILIER was born (date unknown). Parents: Jean Jacques BOUTILIER and Maria Elizabeth DAUPHINE. Spouse: John PHILIPS. Susanne C. BOUTILIER and John PHILIPS were married on 18 November 1821 in St. Margarets Bay, Halifax County, Nova Scotia. Children were: Isabel PHILIPS. Thomas BOUTILIER was born in 1831 in St. Margarets Bay, Halifax County, Nova Scotia. He died on 19 November 1913 at the age of 82 in Marriots Cove, Lunenburg County, Nova Scotia. Parents: John George BOUTILIER and Margaret "Peggy" RICHARDSON. Spouse: Amelia Sophia "Amy" HATT. Amelia Sophia "Amy" HATT and Thomas BOUTILIER were married on 9 February 1862 in Chester, Lunenburg County, Nova Scotia. Children were: William Artemus BOUTILIER. Thomas John Frederick BOUTILIER was born on 30 October 1828 in French Village, Halifax County, Nova Scotia. He died in March 1898 at the age of 69 in St. Margarets Bay, Halifax County, Nova Scotia. Parents: John Frederick BOUTILIER and Catherine Elizabeth MARRIETTE. Spouse: Jane Elizabeth COLLISHAW. Jane Elizabeth COLLISHAW and Thomas John Frederick BOUTILIER were married on 4 September 1858 in St. Margarets Bay, Halifax County, Nova Scotia. Children were: William Albert BOUTILIER. Living (private). Parents: Ralph Burns BOUTILIER and Kathleen Maude WHYNOT. William BOUTILIER was born on 27 September 1817 in St. Margarets Bay, Halifax County, Nova Scotia. He died on 25 July 1851 at the age of 33 in French Village, Halifax County, Nova Scotia. Parents: John Peter George BOUTILIER and Mary Elizabeth BOUTILIER. Spouse: Mary Ann BOUTILIER. Mary Ann BOUTILIER and William BOUTILIER were married on 23 January 1840 in St. Margarets Bay, Halifax County, Nova Scotia. Children were: Anne E BOUTILIER. William Albert BOUTILIER was born on 9 August 1858 in Seabright, St. Margarets Bay, Halifax County, Nova Scotia. He died on 26 November 1936 at the age of 78 in Seabright, St. Margarets Bay, Halifax County, Nova Scotia. He was buried in Tantallon, Halifax County, Nova Scotia. Parents: Thomas John Frederick BOUTILIER and Jane Elizabeth COLLISHAW. Spouse: Rebecca SADLER. Rebecca SADLER and William Albert BOUTILIER were married on 11 September 1889 in St. Margarets Bay, Halifax County, Nova Scotia. William Artemus BOUTILIER was born on 18 May 1865 in Bayswater, Lunenburg County, Nova Scotia. He died on 7 March 1925 at the age of 59 in Dartmouth, Halifax County, Nova Scotia. He was buried in the St. Stephens Anglican Church Cemetery in Chester. Parents: Thomas BOUTILIER and Amelia Sophia "Amy" HATT. Spouse: Noami Rachel CLEVELAND. Noami Rachel CLEVELAND and William Artemus BOUTILIER were married on 15 November 1887 in Middle River, Lunenburg County, Nova Scotia. Children were: Bernice Alfretta BOUTILIER. William C. BOUTILIER was born on 5 September 1810 in Boutiliers Cove, Halifax County, Nova Scotia. He died in 1892 at the age of 82 in Liverpool, Queens County, Nova Scotia. Parents: Jean Jacques BOUTILIER and Maria Elizabeth DAUPHINE. Spouse: Hannah Caroline BOUTILIER. Hannah Caroline BOUTILIER and William C. BOUTILIER were married on 9 January 1840 in Halifax, Halifax County, Nova Scotia. Children were: Amelia BOUTILIER, Isabella BOUTILIER, Daniel Lecain BOUTILIER. Pricilla BOWEN was born in 1728. She died on 23 May 1791 at the age of 63. Spouse: Benjamin VAUGHAN. Pricilla BOWEN and Benjamin VAUGHAN were married on 7 July 1747. Helen Elizabeth BOWER was born on 25 November 1905. She died on 25 February 1970 at the age of 64. Spouse: Ethran Stephen NICKERSON. Helen Elizabeth BOWER and Ethran Stephen NICKERSON were married on 16 March 1929 in Clark's Harbour, Shelburne County, Nova Scotia. Children were: Living. Mary Frances BOWER was born in 1894 in Clyde River, Shelburne County, Nova Scotia. Spouse: John William MCKINNON. 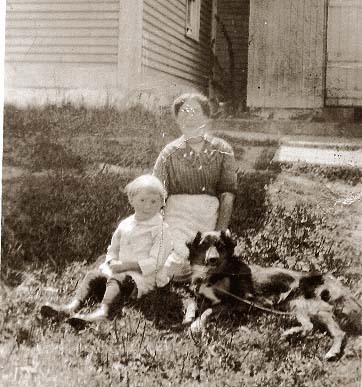 Mary Frances BOWER and John William MCKINNON were married on 31 January 1913 in Liverpool, Queens County, Nova Scotia. Spouse: Benjamin SNOW. Children were: Benjamin SNOW. Adelia BOWERS was born on 26 August 1866 in Cherry Hill, Lunenburg County, Nova Scotia. She died on 4 January 1902 at the age of 35. Parents: John Thomas BOWERS and Susannah CONRAD. Spouse: James Whitman LOHNES. Adelia BOWERS and James Whitman LOHNES were married on 12 March 1889. Children were: Aaron LOHNES, Marion Ethel LOHNES, Howard Russel LOHNES, Alvin Leon LOHNES. Alice Cordelia BOWERS was born on 15 June 1872. She died on 13 June 1957 at the age of 84 in Cherry Hill, Lunenburg County, Nova Scotia. She was buried in the East Port Medway Community Cemetery. Parents: Joseph Matthias BOWERS and Melinda CONRAD. Spouse: James Eldred WOLFE. Alice Cordelia BOWERS and James Eldred WOLFE were married on 26 May 1893 in Voglers Cove, Lunenburg County, Nova Scotia. Spouse: Martin Uriah WARD. Alice Cordelia BOWERS and Martin Uriah WARD were married on 12 October 1929 in Mill Village, Queens County, Nova Scotia. Angeline Foster BOWERS was born on 10 September 1863. Parents: Joseph Matthias BOWERS and Melinda CONRAD. Ann Park BOWERS was born on 29 December 1811. Spouse: Johannes MEHLMAN. Ann Park BOWERS and Johannes MEHLMAN were married on 16 November 1837. Children were: George Sampson MEHLMAN, Rebecca Gardiner MEHLMAN, John MEHLMAN. Anna Philitia BOWERS was born (date unknown). Spouse: Johan Philip Peter THIEL. Anna Philitia BOWERS and Johan Philip Peter THIEL were married on 13 April 1790. Anne Letitia BOWERS was born on 26 October 1858. She died on 27 December 1932 at the age of 74. She was buried in the Sea Side Cemetery in Voglers Cove. Parents: John Thomas BOWERS and Susannah CONRAD. Spouse: John Henry SELIG. Anne Letitia BOWERS and John Henry SELIG were married on 23 January 1878. Children were: Alvin John SELIG, Donzella SELIG, Charles Otis "Clarence" SELIG, Leonard Morton SELIG, Hazel SELIG, Lauriel David SELIG. Bertha Martha BOWERS was born on 21 September 1858 in Voglers Cove, Lunenburg County, Nova Scotia. She died on 22 April 1937 at the age of 78 in Voglers Cove, Lunenburg County, Nova Scotia. She was buried in the Sea Side Cemetery in Voglers Cove. We regret to report the death of Mrs. Bertha Whynacht, aged 78 years, one of our oldest and most respected residents. Although not in the best of health for the past few years, Mrs. Whynacht was able to be about the house until recently when she contracted pneumonia after an attack of influenza and passed peacefully to the Great Beyond on Thursday evening, April 22. She is survived by one daughter, Mrs. Maud Selig; three sons, Clifford, Raymond, and Aerial, of Gloucester, Mass. ; one sister, Mrs. Martin Ward of Petite Riviere; and one brother, Robie Bowers of Cherry Hill; also fifteen grandchildren and seven great-grandchildren. The funeral service held at the house and United Church and conducted by Rev. G. Beck, was largely attended. The floral offerings were beautiful. The husband of the departed predeceased her 17 years ago and three sons and a grandson were drowned in the August gale of 1926. We wish to extend sympathy to the bereaved relatives. Parents: Joseph Matthias BOWERS and Melinda CONRAD. Spouse: George James WHYNOCK. Bertha Martha BOWERS and George James WHYNOCK were married on 5 February 1876 in Voglers Cove, Lunenburg County, Nova Scotia. Children were: Maud Ida WHYNOT, Alfred Kenneth WHYNACHT, Wildon James WHYNOTT, Clifford Stanley WHYNACHT, Ladonia Martin "Doane" WHYNOT, Raymond Harold WHYNOCK, Ariel Eldred WHYNOT. Daniel Solomon BOWERS was born on 1 May 1844. He died on 13 July 1923 at the age of 79 in Petite Riviere, Lunenburg County, Nova Scotia. Parents: Joseph BOWERS and Sophia MOSHER. Spouse: Emma RICHARD. Emma RICHARD and Daniel Solomon BOWERS were married on 29 June 1876 in Petite Riviere, Lunenburg County, Nova Scotia. Daniel Wade BOWERS was born on 2 June 1888. He died on 17 September 1938 at the age of 50. Parents: John Ambrose BOWERS and Ellen Sophia NOWE. Spouse: Maude Elizabeth CLATTENBURG. Maude Elizabeth CLATTENBURG and Daniel Wade BOWERS were married on 20 March 1915. Eleanor BOWERS was born on 20 January 1855. She died on 13 January 1939 at the age of 83. Parents: Joseph Matthias BOWERS and Melinda CONRAD. Spouse: Johnathan HEBB. Eleanor BOWERS and Johnathan HEBB were married on 10 January 1878. Francis Otis BOWERS was born on 22 July 1863 in Cherry Hill, Lunenburg County, Nova Scotia. He died on 5 August 1946 at the age of 83. He was buried in the Forest Hill Cemetery in Broad Cove. Parents: John Thomas BOWERS and Susannah CONRAD. Spouse: Maria Adelaide TEAL. Maria Adelaide TEAL and Francis Otis BOWERS were married on 13 March 1889. James William BOWERS was born on 4 July 1835. He died on 21 July 1906 at the age of 71. He was buried in the Wesley United Church Cemetery in Petite Riviere. Parents: Joseph BOWERS and Sophia MOSHER. Spouse: Charlotte Catherine MAUSER. Charlotte Catherine MAUSER and James William BOWERS were married on 4 February 1879 in Petite Riviere, Lunenburg County, Nova Scotia. Spouse: Sophia WATSON. Sophia WATSON and James William BOWERS were married on 15 May 1897 in Crousetown, Lunenburg County, Nova Scotia.